College costs are rising, but completion rates are not rising with them. With almost 50 percent of first-time students over 20 years old not graduating or enrolled in college after six years, nearly double the non-completion rate of first-time students aged 20 or younger, it is clear that many students in this demographic could use some help. Our 2018 ACT Higher Education Policy Platform urges policymakers to use innovative solutions to reduce college costs and raise completion rates for underserved students. The good news? Research has shown that adult students who earn credit at their college or university for knowledge they have previously demonstrated, also known as prior learning credit or PLC, have better academic outcomes, such as college completion and retention rates, than their peers who do not earn PLC. PLC allows students to reduce time to and cost of completion while confirming that they possess the knowledge and skills necessary to succeed after graduation. Students can take many different paths to earn PLC. Some paths, like dual enrollment, are more obvious than others to matriculating students. We are doing our part as an organization to help students succeed in their postsecondary journeys by collaborating with the American Council on Education’s ACE CREDIT service. 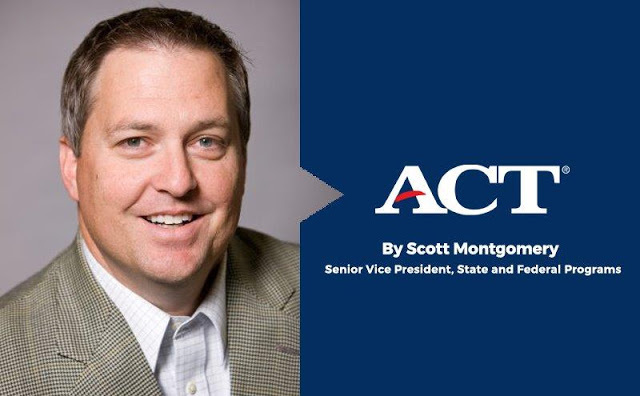 This service recommends that colleges allow the use of the ACT® WorkKeys® National Career Readiness Certificate® to demonstrate prior learning. Across the country, students of all ages take the associated ACT WorkKeys® assessments to earn the NCRC, most often as proof of skills for prospective employers. However, not everyone knows about this other valid use of the NCRC prior to when test-takers seek to enter the workforce. Different colleges have different PLC policies, and ACT will be working with institutions across the country to advance the use of the NCRC for PLC. Interested in learning more about prior learning credit? 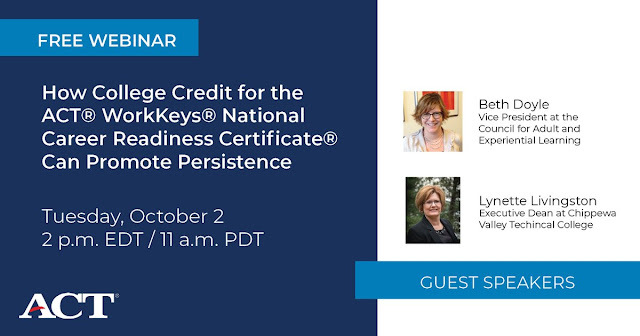 Register here for ACT’s upcoming webinar on Tuesday, October 2.